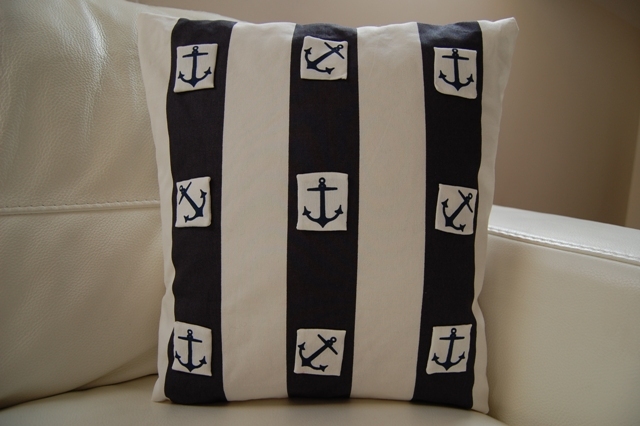 Yet another marine theme pillow. All you need is two fabrics matching your theme. 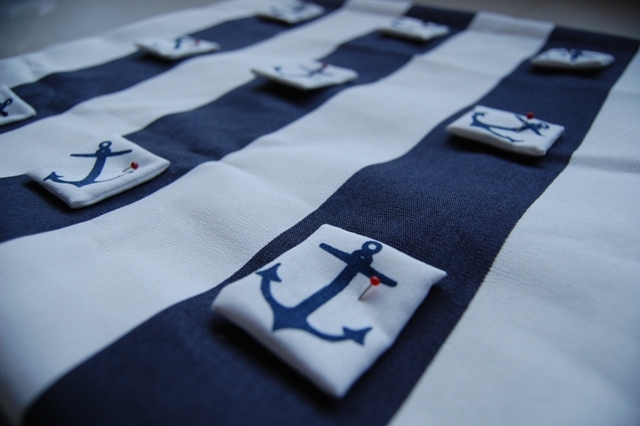 In my project only parts of one of the fabrics matched the idea – little anchors. You will have to prepare the pillow cover in the same way as it is explained in one of my previous posts (How to make a pillow). 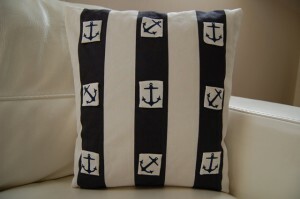 You can also make the pillow cover in your own way or use any cover that needs some visual enhancement. You will also need a couple of little decorations – in this project it was 9 little squares presenting an anchor, cut out from the marine theme fabric. 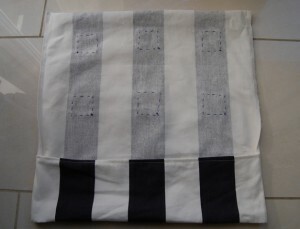 To achieve nice, seam-less finish, firstly I sewed little “bags” and then hand-stitched the final edge underneath. It is quite elaborative method, but it gives nice finish. 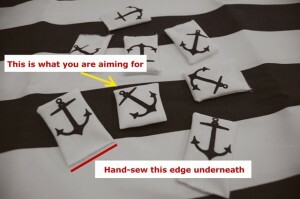 Arrange your decorations and pin them to the fabric with the straight pins. When you are satisfied with their placement, stitch them carefully from the inside of your pillow cover trying to make the stitch invisible. I thought it will be very time consuming process, but it went quicker than I expected. The result. 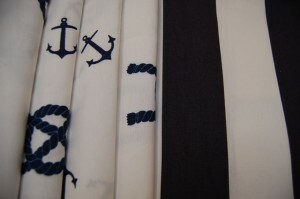 It will make beautiful decoration of any summer house and will match perfectly the hot air and sea side breeze.